Vivus Drug Won’t Solve U.S. Weight Woes, Says AuthorDr. 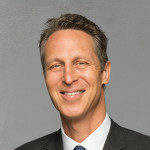 Mark Hyman, author of Blood Sugar Solution, says all the hype surrounding Vivus new obesity drug is overblown and will not stem the U.S. “diabesity” epidemic.